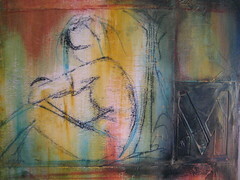 Sometimes I’m just blown away by the creativity I find when reading others’ blogs. Like this idea for displaying dolls. I found this on Jointed Love. It grew out of her need to find space for her dolls as they were taking up too much room on her desk. Read the blog post to find out more and she has a lovely blog with gorgeous images of her dolls. I just got finished another commission. This one was a Angel of Dream Jimi. It was my first boy which was challenging. I also prefer to work on the smaller dolls but I’m happy with how this one turned out. I hope his owner likes him. I’m glad I have this week off so I can get started on the Pipos Baha that just arrived yesterday. Here is my latest commission. I’m really happy with how she turned out. I still struggle with the eyebrows but I’m really happy with the eyes and lips. This was my first sleeping head. 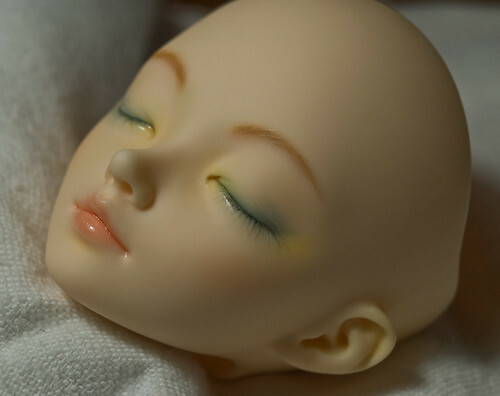 I’ve been contacted by a few others about doing a faceup for them but no confirmations yet. I’ve got one more spot at $10 then I’m going to up my prices. I’ve been not so patiently waiting for my bonus (we get $50 for each student who passes AP art or IB art). I plan to purchase minifee rheia, again, I had to sell her in August but I knew I would get her again as soon as I had the money. They keep saying it will be in the next months check but that has happened twice already. I’m hoping for December! On a good note, I’ve got one commission at home to do, a minifee shushu. 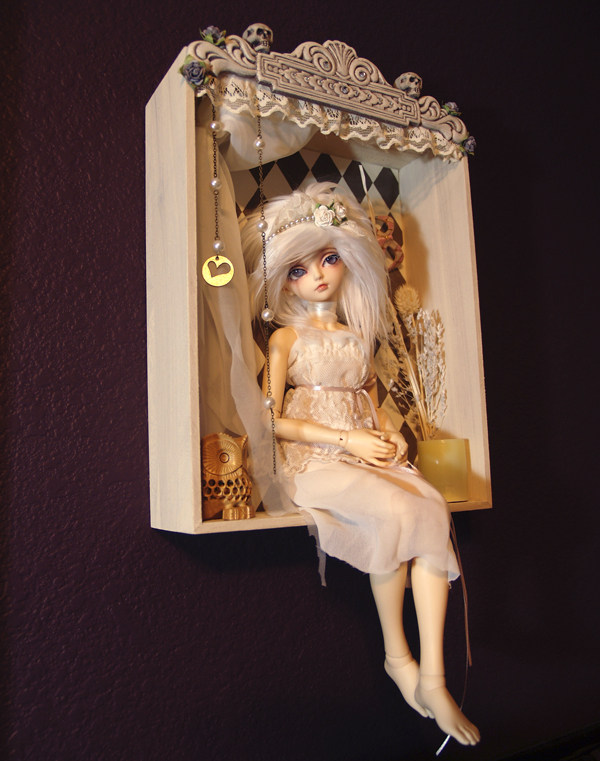 Also the last commission I did, the panda, she has contacted me about redoing her pipos baha. I think after that one I’m raising my prices a bit.